Kate Middleton‘s fashion parade Down Under continued today when she stepped out in yet another stunning spring coat. The Duke and Duchess of Cambridge visited Omaka Heritage Aviation Centre in New Zealand this morning, where they met up with Hobbit director Sir Peter Jackson. 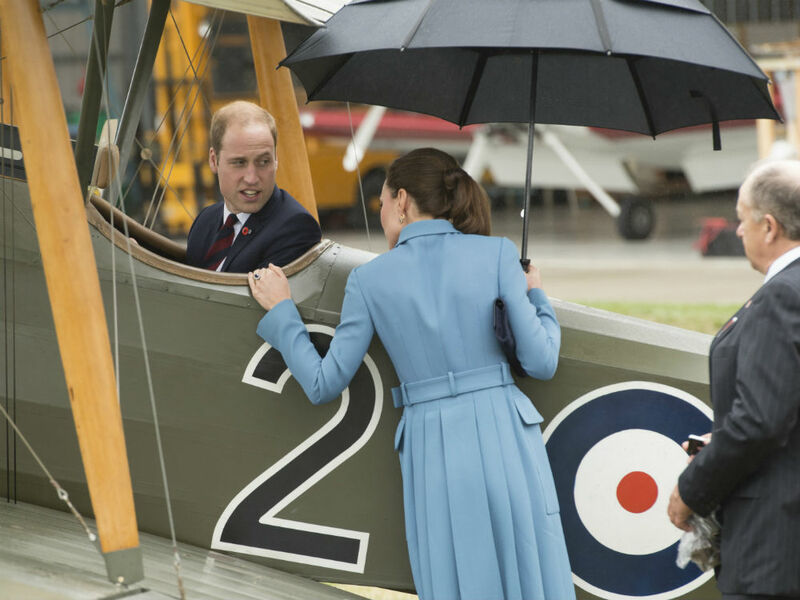 He led the royal couple through the centre’s collection of historic aircraft – and Prince William even tested out the cockpit in a vintage biplane. While the Duchess, 32, is fond of wearing High Street finds, she upped the price tag for this particular occasion. Her powder-blue Alexander McQueen Utility Peplum Coat Dress retails for £ 2,345. And of course when you’re Kate Middleton, you can make alterations at the drop of a hat. Her version appears to have had the top peplum removed and is a bit longer than the original. 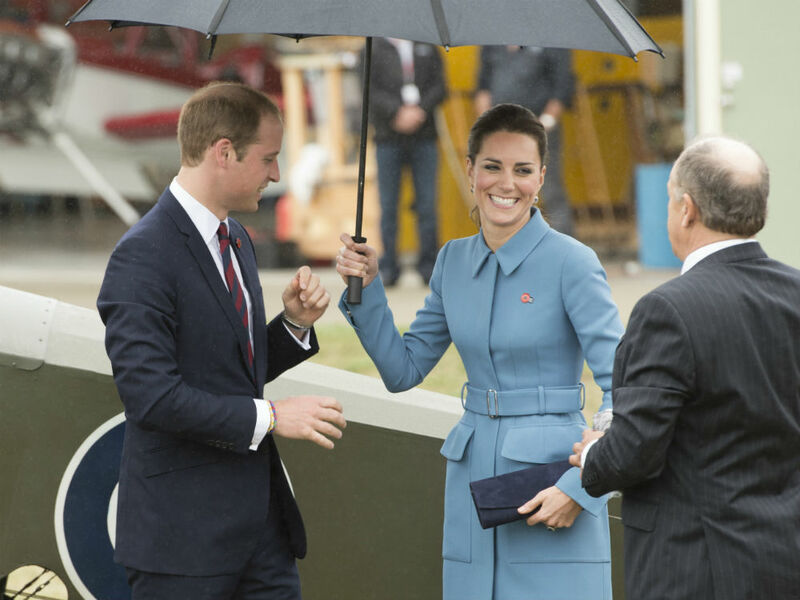 Kate accessorised the chic look with dark blue suede courts and a matching clutch. And while she usually wears her long locks in perfect waves around her shoulders, she pulled them back in a sleek ponytail for the rainy-day appearance.